1. To personally lead at least 100 individuals to “financially independent millionaire+” status. 2. To lead more people to Christ than I do to financial independence. 3. That people will stop making excuses for their failures and start executing a plan for success. Excuses are for cowards. 4. 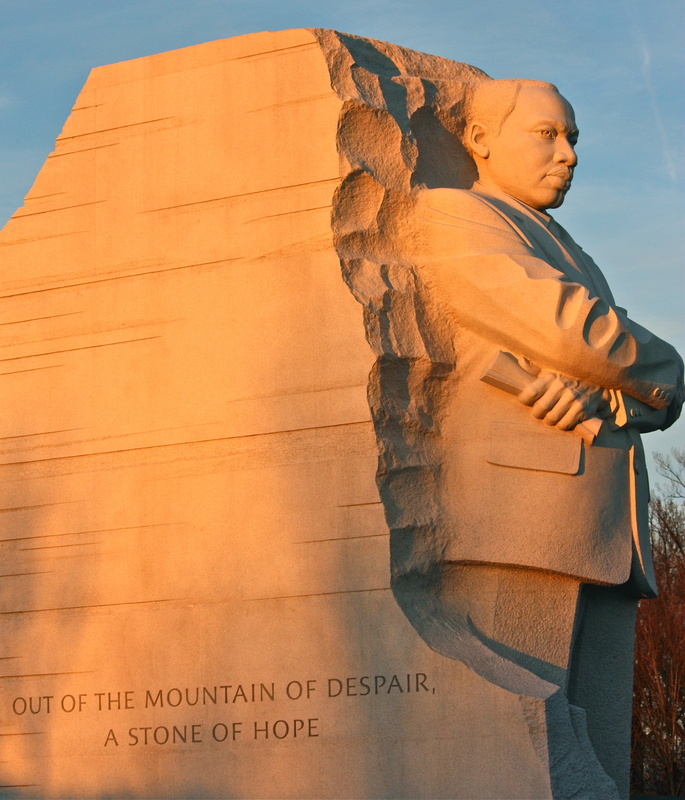 That Martin Luther King Day will not be reduced to just another day off. 5. That whites will acknowledge racism still exists in America. 6. That blacks will stop using “the man” as an excuse for complacency. Stop letting others have that much power over you! Stop perpetuating the cycle! Grow up! Face it: EVERYBODY is not out to get you! 8. That we all become the change we wish to see in the world. If you’re not a part of the solution then you’re part of the problem. (Gandhi was definitely on to something). 9. That I will live to see the 1st female president (and she’ll be fabulous!). 10. That healthcare and a quality education will be the norm for every U.S. citizen. 11. That parents will take more responsibility for their children’s behavior. TV is a poor babysitter. Parenting is a hands-on job. Take an active role in your child’s life. Listen to them. Learn from them. Spend quality time with them. Help them with their homework. Celebrate their accomplishments. Encourage them in moments of defeat. Take heed to what their teachers are saying about them (I’m sorry, but nobody is an angel 100% of the time…. no matter how cute they look or “act”). Wake up! Wise up! And if your kids are always on punishment, then, perhaps, you’re the one doing something wrong (GASP!). 13. That Americans will place more importance on financial independence than on credit dependence. 14. That we will all do a better job of living the part than we do at looking the part. 15. That husbands and wives will put their marriage before their own stubborn, selfish desires. 16. That children will see their parents as positive role models… because they are positive role models. 18. That women will start honoring themselves as queens and stop settling for anything less than a king. Stop letting men de-fine how FINE (Fabulous, Intelligent, Noble and Extraordinary) you are! 19. That more men will step up as the king God has called them to be. 20. That we will all make every effort to be at peace with one another and to be holy (Hebrews 12:14). See through the I’s of violence… it’s Immature, Irrational, Inconsiderate, Impatient and Impulsive. See it for what it is! 21. That self-respect will increase and teenage pregnancies will decrease. 22. That we learn to spread more love and fewer STD’s. 23. That American’s will one day work to get better instead of working just to get by. 24. That we can all experience at least one day of work-life balance! 25. That there will be more emphasis on building the marriage than on planning the wedding. 26. That divorce will be a matter of extreme circumstances, versus an excuse not to try. 27. That we start living and stop existing. 28. That one day we all spend more time with Jesus than we do on Facebook and Twitter. 29. That we all commit to breaking our family’s generational curses. 30. That everyone reading this will accept Jesus as their personal Lord and Savior. This entry was posted in RANDOMly Me and tagged I Have a Dream, Life, Martin Luther King Jr. by The Practical Chick. Bookmark the permalink. I like this list!! and I accepted lord as my savior from the womb lol… GOD is GOOD, MARVELOUS, MIGHTY, OMEGA, and that why I praise his HOLY name! And he will continue to live forever and ever. Amen.